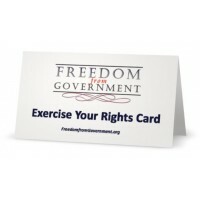 Exert your birthright to obtain freedom from corrupt government agencies and their jurisdiction. 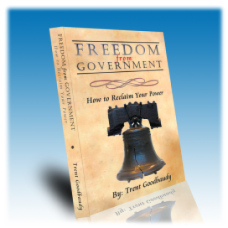 "Freedom from Government; How to Reclaim Your Power" is your handbook for dealing with government on your terms. 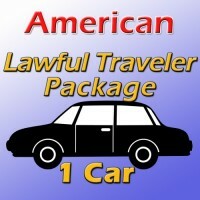 Learn how to win any victimless court case, what to say to law enforcement, the problem with attorneys (and why you NEVER want to hire one), why statute and legislation only apply to you if you allow it, the difference between a "right" and a "privilege", what it means to be truly free and responsible for yourself and your estate, the history of our legal system (and why it is so messed up), how to get remedy for inherent rights violations, and everything else you will need to make them LEAVE YOU ALONE FOREVER! 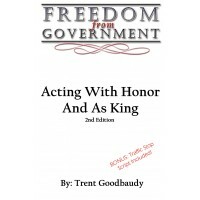 2nd Edition NOW AVAILABLE! New bonus TRAFFIC STOP SCRIPT included!Authored by Trent Goodbaudy Exert .. 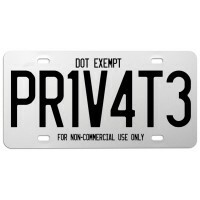 Sometimes the pirates steal our personal private property (confiscation of plate replacements). 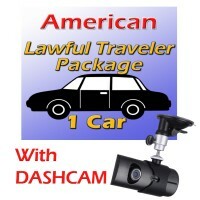 That..
NOW included with ALL LAWFUL TRAVELER PACKAGES!THE best darn "RIGHT TO TRAVEL" affidavit that you ha.. 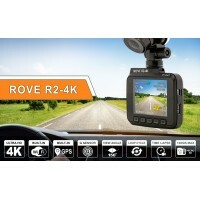 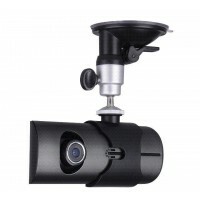 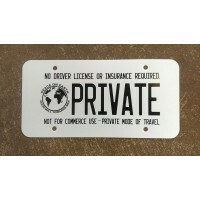 In an accident or other altercation while traveling you will now be able to prove what happened with..
Get the Exercise Your Rights Card only here at the Freedom from Government Official Online Store&nbs..
NEW 4"x7" MOTORCYCLE PLATE REPLACEMENTS NOW AVAILABLE!Sometimes the pirates steal our personal priva..
Rove R2-4K Dash Cam Built in WiFi GPS Car Dashboard Camera Recorder with UHD 2160P, 2.4" LCD, 150° W..